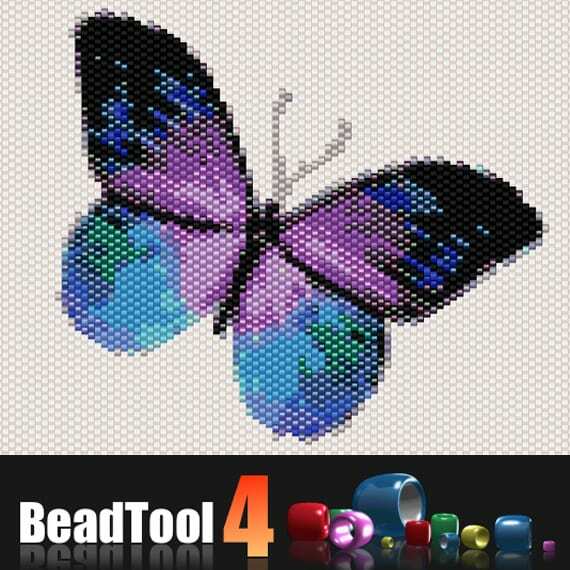 BeadTool 4 for Windows and Mac is a beading programme for both hobbyists and professional beaders. 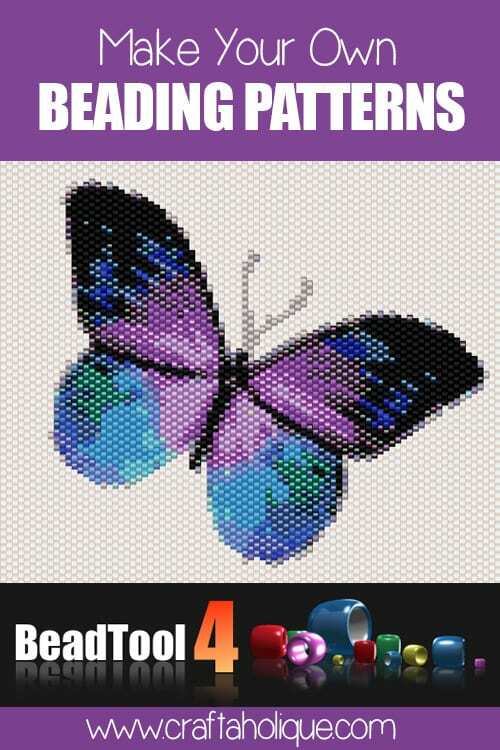 It allows the user to create all sorts of amazing beading patterns, all with just a few clicks of the mouse. As you’ll know if you’ve been reading this blog for a while, beading is one of my favourite crafts! I’ve been using the BeadTool 4 software for a couple of years now and this is my review below. I originally wrote most of this review in August 2015 and have recently updated it (September 2017) based on my experience of using it over this period of time. See my updates in italic text throughout the article below. This is the main screen that loads when the BeadTool 4 application is launched. The grid area is where you can create your beading pattern. 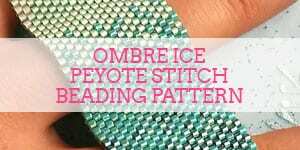 Over on the right hand side, under the “Pattern” tab, you can select which stitch you want to use for your beadwork, such as peyote, brick stitch or right angle weave and you can select how many rows and columns you want your pattern to be. Under the “Palette” tab, you can select which type of beads you’d like to use e.g. Miyuki Delicas size 11/0 or size 15/0. The choice for bead types includes Miyuki, Toho and Pony beads and within each bead type, you’ll find all the available bead colours in that particular range. The bead colours are labelled by the manufacturer reference number, meaning that in theory you can easily order what you need for your beading pattern. Update: I’ve found that sometimes the colour codes of the beads on the software don’t match the beads I can buy. 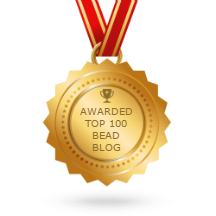 I’m not sure why this is – I just know that some of the Miyuki Delicas I’ve used don’t seem to appear in the list that BeadTool generates! If you’ve ever used an application like “Paint” for Windows, you’ll find BeadTool 4 incredibly easy to use for creating freeform beading patterns. All you need to do is click on the “Pencil” icon at the top left, select the colour of the beads that you’d like and use your mouse to click and draw a freeform pattern over the grid. For ease, there are some shape template icons on the left hand side that you can use to speed up the creation of a pattern. You can use these by clicking on one of the blue shape icons and then clicking and dragging across the grid until the shape is the required size. The shape function creates an outline of the chosen shape in the colour bead that you’ve selected. To fill in the shape, you’ll need to click onto the “Floodfill” icon and then click the grid inside the shape area. 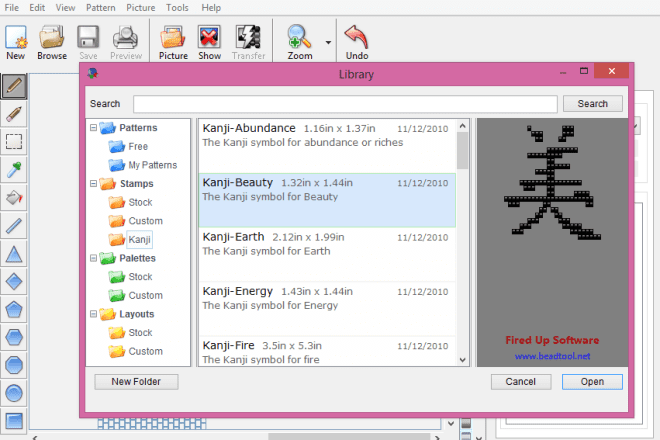 The “Picture” function is my favourite part of the BeadTool 4 software.Using a picture that you have saved on your computer, you can upload it to BeadTool using the “Picture” icon. You’ll see it appear next to the grid and you can then make the image smaller or bigger by clicking and dragging the corners. When you’re happy with the image size, you can drag it underneath the grid to where you want it for your pattern. Then click the “Transfer” icon, select the size of the beads that you’d like along with the sampling size area (this is already set to a standard setting in case you’re not sure about this) and the image is transformed into a beading pattern. BeadTool 4 conveniently identifies the colours used in the image and generates a colour palette on the right hand side. If you don’t like your pattern or want to try another image, you can click on “Undo” and “Hide” (which deletes the image), so that you can start over. Images work better on larger areas, particularly if there’s a lot of detail in the image you want to use. The screenshot above shows 40 columns being used in peyote stitch. There is a file library associated with BeadTool 4. You can open, close, save and print files providing you have a full license to the software and not just the free trial. Within the file library, there are a selection of pre-made layouts, palettes and stamps that you can incorporate into your beadwork pattern. 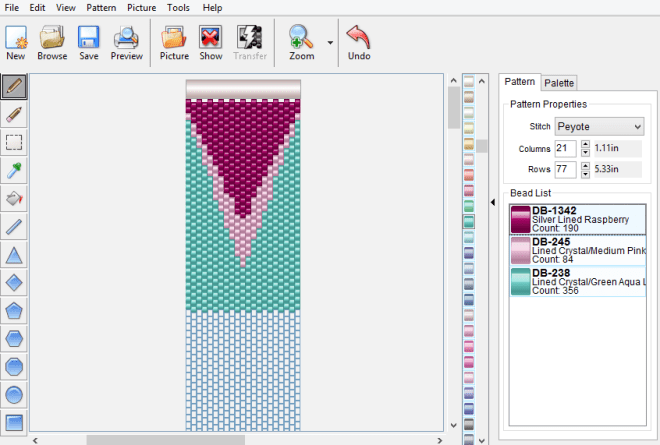 At the top of the BeadTool 4 Window in the grey task bar, you’ll find “Picture” and “Pattern” tabs amongst others. These allow you to alter images and patterns by flipping them, creating a mirror image or rotating them. You can even add text to a pattern and specify the type of font and size too. It’s also possible to repeat part of a pattern elsewhere on the grid. There is a pipette icon called “Color Picker” on the left hand side of the screen. This allows you to select any colour within the beading pattern and replicate the same colour elsewhere by clicking on different areas. In addition, the “Selection” icon allows you to select any area of the pattern and move it around the grid and there is a cut, copy and paste function. You can erase parts of a pattern (even bead by bead) using the handy “Eraser” tool. When you’ve finished making your pattern, you can save or print it and the finished result is very detailed, with a bead legend, bead chart and word chart outlining the pattern step by step. To check out more functions and how they work, take a look at these instructional video tutorials. How much does BeadTool 4 cost? 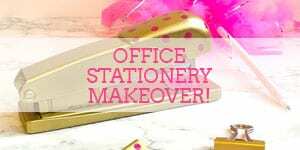 There is a free download version available where you can try most of the functions out. If you’re interested in beading, I’d recommend doing this and having a play around with it to see if you like it! The free version doesn’t allow you to save or print beading patterns, so if you want to do this or to sell your patterns via Etsy for example, you’ll need to buy the full BeadTool 4 version for $49.95. The added benefit of buying the full license is that you’ll be able to get free updates for the software. Update: I haven’t seen any updates yet for this software! Is BeadTool 4 worth the money? 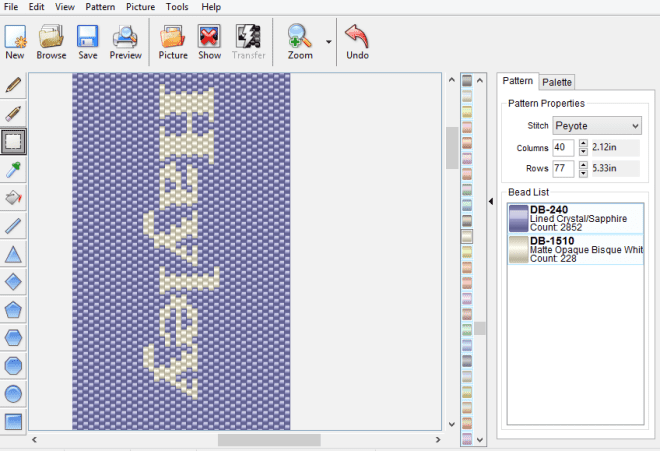 Update: If you love beading and if you want to create your own patterns, I think this software is worth the fee. The system is easy to use and it is possible to make money from selling patterns that you create on BeadTool (this is what I do currently), so you could make your money back if you want to. With that said, I am looking to find a more advanced beading software that’s better suited to my needs nowadays – I’d like to be able to mix and match different stitches in one pattern which is something this system currently doesn’t do as far as I’m aware. Lastly, something to be aware of is that over the last year or so, I’ve received quite a few comments from people saying that they’re struggling to get appropriate responses from BeadTool’s customer service (see the comments below). I’m not sure what’s going on there, but to be on the safe side, make sure you get any questions answered by customer service before buying the full version. Have you used BeadTool 4 before? What do you think of it? Linked up on Handmade Mondays. Your post made me think wouldn’t it be great if I could scan pictures to help me make knitting designs like that. I usually spend ages with tracing paper and grids, and then have to draw it in word. A quick search and I have found just what I think I need, and free! Thank you for the inspiration. That sounds like a great idea! I’m glad this post inspired you and look forward to seeing some of your knitting creations! Thanks Vicky! I think so. Very useful program for bead crafting but the support is negligible at best. Prefabricated responses that do not pertain to relevant questions are standard procedure. If you need to upgrade to a new computer or crash one needing an operating system reinstall, Beadtool support will not help you to reactivate the registered program once your limit of two computers has been reached at any past point in time, even if those computers are not active any more. There is no deactivation to enable use of the license on a new computer. These statement are form personal experience. This is an issue I feel needs serious deliberation before purchase. I totally agree – also from experience. Was able to put the program onto my new computer and use it, but it won’t update. Not all colors are available to create your own palette in, for example, Toho. You have to choose a similar or close color from what is offered and make sure you tag your own beads with new name so you can match to the design. All that said, I haven’t found a better program. . . . lol. Hi Beth, thanks for letting me know about your experience, this will be useful for other readers to be aware of! You can write the owner/designer of Bead Tool and he will reset your activation code so if your computer crashes or you get a new computer you want to put the program on it will install again after the two times. What email address did you all use to get a response. I purchased BeadTool4 on Jan 4 and have yet to receive a response therefore have not been able to use the program. Please help! Hi Wade, I haven’t experienced this but thanks for letting me know about it! I did upgrade to a new computer in January but because I had the original email with my activation details, I just used that and it worked! I haven’t had to contact Beadtool Support about anything else yet, but if I do, I’ll post an update here based on my experience. I love BeadTool4, it is a great program <3 I think you have probably 'used up' your two links to active the full program, when activating (again) in January. Ah right, thanks for the heads up on that Yvonne! I had a similar experience to you. I asked for help getting BeadTool reinstalled after my hard drive was reformatted. I received very curt and rude emails (from the developer Christopher) in reply. I paid for the program, did not get the verification. Left msg on his facebook, website as well as emailed him. No response for over a week. Then he just returned my money. Yes! I emailed for support but before he could respond I figured out the issue and sent him another email telling him I no longer needed his time. He responded with rude instructions about following the help menu. I responded okay thank you. He responded again saying every time I reply to him he will continue to reply back. I then replied once more and asked a question about using the software that I hadn’t figured out. I then received a refund from PayPal with a nasty note. A year later I tried to purchase the software again. 3 days passed and no key was emailed so I contacted support asking to confirm he received payment and when would I get the key. 5 minutes later I received another refund from PayPal with another nasty note. Agreed! I had correspondence with Christopher via email. I asked a question about the project size changing automatically when I change the bead size. After a few back and forth emails I received a refund from PayPal with a nasty note. A year later I tried to purchase Beadtool again 3 days after I paid and hadn’t received the key I contacted Ed customer support. 5 minutes later my purchase was refunded with another nasty note. I just had a nasty exchange with Christopher which ended in a refund too. I was wondering if you could change the bead layout? like..in many of the pictures shown the beads are staggered like crossstiching patterns but on my loom they are in straight rows. Would this software work for me? 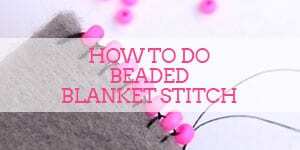 Hi Vanessa, you can switch between different stitches which changes the direction of the beads. For example, you can do peyote, RAW, brick stitch etc! There is a square and loom design as well. I love BeadTool4 and have designed several patterns. However, I wonder if you can help with a problem. I can’t figure out how to get a pattern layout from the program to my computer to share with someone. Like when you go to print and choose your layout, how do I get that same layout onto my computer so I can email it? When I right click a pattern and save to my desktop it comes out with only scrambled words when I open it into my word processor; no pattern, legend, word chart or layout. I haven’t found this information on the BeadTool website. I feel like I must be missing something simple. Thank you! Thank you for the suggestion. When previewing, the only options are to change the layout or print. I will try emailing support. Thanks again for your reply. Click on the print option then over on the left where it says “PDF”, click on that and then you will see the “save as PDF” option. I have the free version of BeadTool and I wanted to know if there are any other benefits, other than saving and printing patterns, if you buy the program. Hi Marilyn, the main benefit of the paid for version of BeadTool is the flexibility to print and save patterns – this is good for if you’re planning to sell patterns to customers. Also, I find that working from a pattern is much easier when it’s printed out – but that’s just me! Also, I think you can download free updates for the paid for version from what I understand. I have purchased BeadTool. It is an okay program, but the customer support is non-existent. Today I contacted them with a question because I was having trouble getting BeadTool re-installed after my hard drive was reformatted. The responses I got from Christopher, the developer, were unbelievably rude and unhelpful. He wouldn’t even answer my question directly. His last email to me said, and I quote, “You have all the information you need in the email that was sent to you. What you do with it is up to you. Good luck.” And, of course, I didn’t have all the information I needed, which was why I was asking for help. Their website claims that “Getting BeadTool customers the help they need is a top priority, ” and I can tell you definitely that this is not the case. Thanks Hayley. I did finally get BeadTool reinstalled with the help of my computer saavy hubbie. I’m sure that BeadTool developer Christopher could have answered my question quite easily, but for some reason he was being really awkward and not giving me a direct answer. If he had been half as helpful as you, I would not have spent such as frustrating morning (on my birthday, no less!). Does this sound like helpful customer service? Sorry for the delay in responding Suzanne, for some reason I’ve only just seen your comment. That doesn’t sound helpful at all, sorry you had a bad experience. I’m glad you got it reinstalled though! Hi Lindy, I wouldn’t know about measuring from the screen, what I can tell you though is that with my patterns, when I make them up according to the size on the screen, they are as they should be. It might be that the pattern isn’t the exact size on screen? I too have found that some Miyuki Delicas aren’t listed which is a pain, but I understand that the developer is trying to add more in. I’ve never used fonts in any of my patterns so I’m not sure about those. I’ve only played around with fonts when I first got the software and reviewed it. As someone who has been using this software for some time for my own patterns, it’s good to a certain extent but I think I may be moving onto a more advanced software soon for my own projects. You can do a variety of stitches, but I want to make patterns where you can combine stitches – as far as I can tell, BeadTool can’t do this. I would be very interested in a more advanced program as well! Have you found a good one? 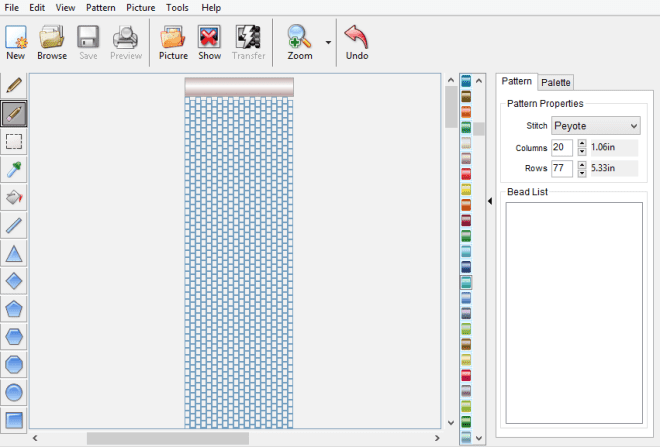 To the best of my knowledge you cannot com Ind stitches in beadcreator. The learning curve is extensive. It can get complicated. If you need to reinstall on a new computer you have to go back to the creator for a new password, the old one will no longer work. I’m not going to argue any longer. BeadTool is doing exactly what is has been programmed to do. Any deviation is user error. Release 4.9.2 just does not work correctly in all cases. Hi Dennis, thanks for letting me know about this! I’d already downloaded the new release before I saw your comment! I haven’t fully tested it yet with a new pattern. If I see any problems in my version, I’ll post the details here. I have been playing with the free Beadtool software to test it out, but when I shrink my image to the width of the bracelet I plan to make it just looks like a blob of colours. I tried several different ways of reducing the size of the image, but it just doesn’t look right. I contacted the developer to ask for help. He used the image and kindly made it fit in the required space to demonstrate that it works. Unfortunately however, he doesn’t give anything away on how he did it and told me I need to just play with it until I get it right. Sadly, time is not a luxury I have since I have a 2-year old toddler. Do you have any tips on re-sizing my images to fit please? Thank you for your response. I have some time again today to take a look, so will have a play and try your suggestions. I was going to buy Beadtool4 until I got a really snarky reply to a question i asked about the license. Christopher as he calls himself says “I will Know” if You share the license with anyone else.”I will Know!” and went on to say that he thought i was one of the dishonest ones after i told him i don’t share licenses and didn’t like his snarky tone. Also for some reason i can no longer access the Beadtool4 website. Its like I’m blocked or something. seems petty of him if that’s what hes done. he has a long way to go when it comes to customer service. being rude and/or snarky isn’t a good way to get or keep customers. Could any one help with a problem I am having when beading tubular peyote in Beadtool4. I create the pattern and it looks great, I make sure I click on the pattern and start bead. I am using the bead legend when beading and my pattern is on a slant, rather than straight up and down. Any suggestions of what I am doing wrong? hello my name is Willy I would love to purchase bead tool 4, but once I have is program will the program ask if I have the license in order to save my pattern? Hello, when you purchase BeadTool, you should receive a license key which you can input when setting the program up. It’s been a few years since I installed my copy so it might be worth checking with BeadTool’s support service just in case. I want to be able to use it for making “fringe” beaded earring patterns. I’d need to have the brick pattern on top and be able to add the straight rows for the fringe beneath. Is that something you can do?? Sadly, you can’t mix stitches using Beadtool as far as I’m aware. You can with Beadcreator – you can add “fringe” using brick or loom stitch (the latter looks like straight rows). I don’t recommend contacting the BeadTool. The customer service representative was condescending and combative. After purchasing the product, my credit card was compromised. I let them know of the situation and they called my concerns nonsense since all transactions are dealt through PayPal. I understand the security breach could have happened at another merchant, I just wanted to let them know of the possibility that there might be a problem. It was very unfriendly and unprofessional. Sorry to hear about your experience! That’s a shame because the software itself is good (in my opinion). Can I make 3D star patterns on beadtool4? Hi there, I’m not sure to be honest, I’ve never tried to make a 3d pattern. Might be worth contacting Beadtool support on this one. If she dares lol !!! !